근사록(近思錄)은 송나라 유학자인 섭채가 성리학의 기본이 되는 주돈이의『태극도설』과 장재의『서명』등 중요한 문헌만을 골라 만든 성리학의 독본이다. 이 책은 고려 공민왕 19년(1370)에 당시 뛰어난 성리학자인 박상충이 진주목사로 부임하는 이인민에게 선사한 것이다. 이 책은 판식이나 자체로 보아 원판을 보고 다시 새긴 것으로 보인다. 권발이 애독하던 것으로 늘 소매에 넣고 다녔으며, 중종 때에는 경연에서 강의까지 하던 것이다. 고려본(高麗本)이 희귀한 상황에서 중국판을 따라 다시 새긴 것이라 하더라도 매우 귀중한 가치를 지니며, 조선시대 성리학을 연구하는데 있어 반드시 정독해야 할 도서이다. 특히 정조가 친히 머리글을 지어서 붙였다는 것만으로도 더욱 가치가 높다고 할 수 있다. Geunsarok is a ‘Reflection on Things at Hand.’ It was made by Seopchae, a noted Confucian scholar of the Sung Dynasty, by compiling important parts from “Taegeukdoseol” by Zhou Dunyi and “Seomyeong” by Zhang Zai which are the manuals in neo-Confucianism. 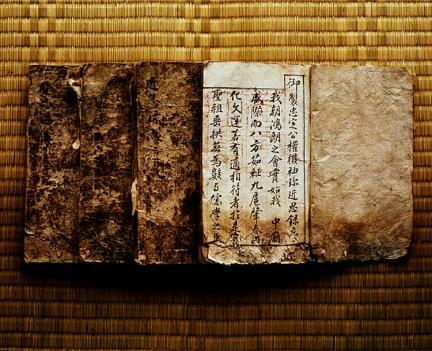 Bak Sang-chung, a great neo-Confucian scholar of the time, gave this book to Yi In-min when Yi was newly appointed as the Governor of Jinju in 1370, the 19th year of the reign of King Gongmin of Goryeo (918-1392). The printing style of the book suggests that its plate was reprinted with the sample of the first edition. This book was Gwon's favorite who was a government official and a scholar during the reign of King Jungjong of Joseon (1392-1910). He always carried this book and even gave a lecture on it in the king’s presence. Even though this book is a reprinted version of the Chinese edition, it is very valuable because of the scarce volume of the Goryeo edition, and also because it is a must read book for neo-Confucian scholars of Joseon. 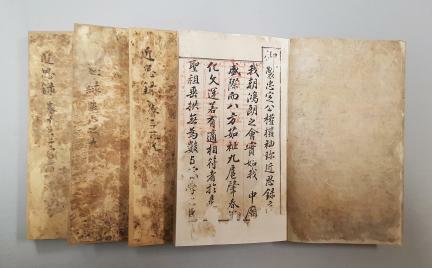 Moreover, the preface of the book was written by King Jeongjo himself.